To succeed, businesses today must be able to rely on more than just a product solution. From superior technical support, to proper implementation of your technology and training where and when you need it most, the services you receive are every bit as important as the products you put into your facility. Basaran Grinder Corp. offers a complete array of support services to help you attain the highest value possible from your technology investments. Since 1982 we have been rebuilding, retrofitting, and re-qualifying Overbeck Machines. It is an economical way to restore the original accuracy and reliability that was built into every one of our grinders. Most of the machines that we have built over the past years are still in regular service. But nothing lasts forever and we offer a complete re-manufacturing service that will bring the performance of even the oldest grinder into brand-new condition. Our process starts with a complete tear down, followed by a thorough evaluation. Next specially designed upgrade components are CNC machined in house to our strict tolerances and assembled onto the machine. Lastly, the complete software and electronics is installed. With overseas competition growing immensely fierce, manufacturers are required to streamline their processes. The BL-400 Automatic palletizing system is a universal loader/unloader for your Grinder. Best of all, it can be added onto any one of our upgraded machines, as well as any new machine. This the guaranteed way to help your company gain an edge over the competition. All machinery needs regular maintenance to run at its peak, especially as it ages. That’s why we’ve developed Preventative Maintenance programs to inspect your machines and identify potential problems before they occur. We check items like belt tension, lube fluids and filters, and machine geometry so we can tell you in detail what needs work and when you’re likely to experience trouble. Put Preventative Maintenance in your budget as a planned expense and watch the cost of your unexpected service calls drop – while your productivity rises. Your machines will run continuously when needed and you can schedule your downtime for slow periods. Call us today to schedule Preventative Maintenance with one of our top-notch Service Engineers! We Repair and Rebuild Precision High Speed Spindles to Original Factory Condition. Basaran Grinder understands that your spindle is a highly engineered precision piece of machinery. Proper spindle repair requires a technically trained and competent team. No spindle leaves our center without being repaired or inspected by one of the experts. There are several factors involving Basaran Quality. It doesn’t just happen because we say we have “quality”. Without the Commitment, Competence, Experience and Capability, quality is no more than an overused word. 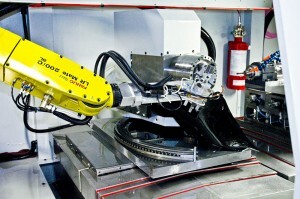 Also if your spindle is in a production critical machine you can request our expedited service. Cause of failure & quotes are typically prepared the same day. All parts which are not in stock are expedited for “priority AM delivery”. The typical expedite turnaround is 2 days. If you would like more information or would like a quotation please contact us. Our spare parts department has a comprehensive selection of parts from Overbeck Grinding machines dating back to the 1930’s to Basaran’s own new line of next generation grinders. We carry spare parts for all of the following grinders. In addition we have spare parts for, Overbeck Grinders, Tschudin OD Machines as well as Henninger machines. At Basaran Grinder we enjoy the mechanical engineering challenges associated with turning a good idea into a great product. We can design and build a cost effective machine or a complete production line from a great idea, sketch, blue print or CAD file. We are specialized in designing, manufacturing, selling, servicing and maintaining precision CNC grinding machinery. Send us an example of the finished product you want to fabricate, and we’ll engineer machinery to create it. Rely on us to deliver your equipment, set it up, train your operators, and ensure that the line is running productively. Basaran service team offers full service for every machine under Basaran and Overbeck names. Majority of Basaran engineers have been growing with the company for more than ten years. Their expertise are fully recognized by Basaran, in which customer can rest assure the problem will be solved as quickly as possible. 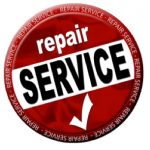 If you would like to schedule a service call please contact us at 631-273-3030 or visit our contact page. Basaran offers our customers a number of formal training opportunities on selected topics and products. Content is based on specific skill sets and objectives and is designed to transfer a working knowledge and understanding of the machine tool system and related processes. If you would like to schedule a training session please contact us at 631-273-3030 or visit our contact page for more options. In addition to providing the latest in CNC grinding technology, we can also setup a complete turn-key cell from raw material to final inspection. Using out manufacturing skills we are able to provide a complete solution from turning, milling, to grinding. Also we have dedicated capacity for our customers’ parts and will gladly run your parts while you wait for your machine to built. This way you can start on your way to earning a profit much faster than your competition. Call us to discuss this popular option. Buying direct from us will help you save more money. Our capacity extends beyond our intimate knowledge of the grinding process, but also into the inspection world. Having partnered with industry experts, we are able to provide complete solutions for automated parts inspection and SPC measurements. Also we are able to integrate the parts inspection process with your Grinder for real-time feedback and automatic compensation.